The Yale Model United Nations Institute, or YMUNI, is a one-week long residential summer program for high school students about leadership, international relations, and Model United Nations run by Yale students from the Yale International Relations Association. Through YMUNI, program participants will learn more about the world, themselves, YIRA, and the amazing resources Yale has to offer. YMUNI 2019 will be held at Yale University from August 3-8, 2019. The cost of attendance for 2019 is $1500 USD. Financial aid is available to both domestic and international students. YMUNI is operated as a constituent program of the Yale International Relations Association (YIRA). YIRA is one of Yale’s largest student organizations, with 501c3 non-profit status. More information about YIRA can be found here. A sample schedule for YMUNI 2019 can be found here. Apply today and join us for what will be an incredible week at Yale, YMUNI 2019. Farah is a Global Affairs and Economics double major from the Washington, D.C. area. She is particularly interested in the East Asian Tigers’ unique economic development, including local business practices and urban environments. She spent the summer of 2018 in Seoul, South Korea studying Korean on the Light Fellowship, during which she delved deeper into how the country’s super-accelerated economic growth, dubbed the “Miracle on the Han River,” had left both visible and invisible marks on the social landscape. On campus, Farah is involved with the Yale-China Association’s YUNA Exchange Program, a unique, six-month academic and cultural exchange program between Yale University and Hong Kong’s New Asia College, during which students conduct research to be presented in Hong Kong. She also serves as a co-Director for the Yale International Policy Competition, during which 400 undergraduates engage with a contemporary international policy challenge and develop networking and practical policy writing skills. When she’s not completing work for Yale’s various international affairs-related organizations, she enjoys reading and watching documentaries. David is a first-year in Ezra Stiles college from Fort Lee, New Jersey. 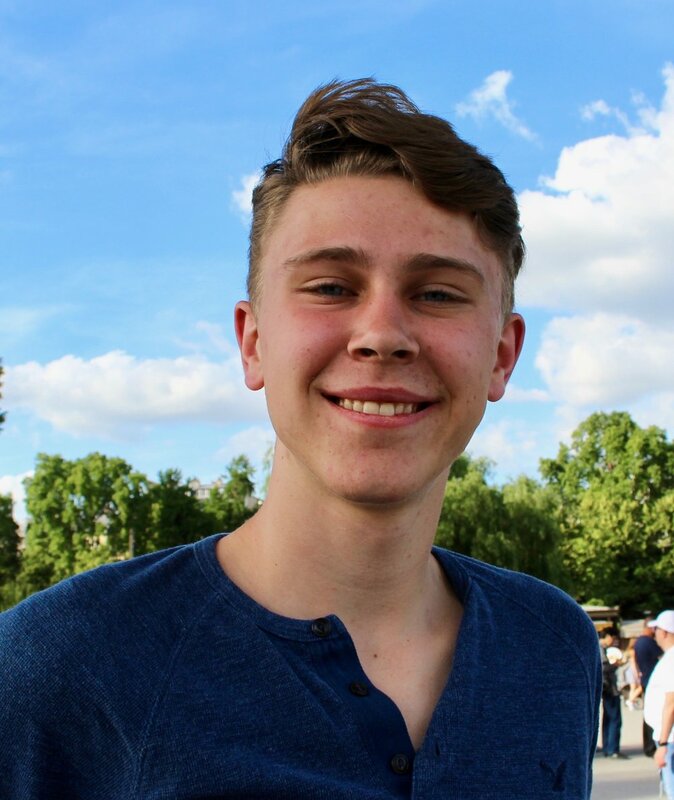 He is interested in majoring in Economics and Cognitive Science. In his free time, David enjoys playing piano and designing buildings, houses, cars, and cities. He spent his past summer working as a surgical assistant at a dental office, where he learned the importance of not only flossing every night but also telling other people (his suitemates) to floss. At Yale, David is the captain of the Stiles IM volleyball team, and he can often be seen badgering people in the dining hall to sign up the night before games. He is also a member of the YMUN secretariat, helping to host this year's conference. Please feel free to reach out to ymuni.conference@yira.org if you have any questions about the YMUNI program! 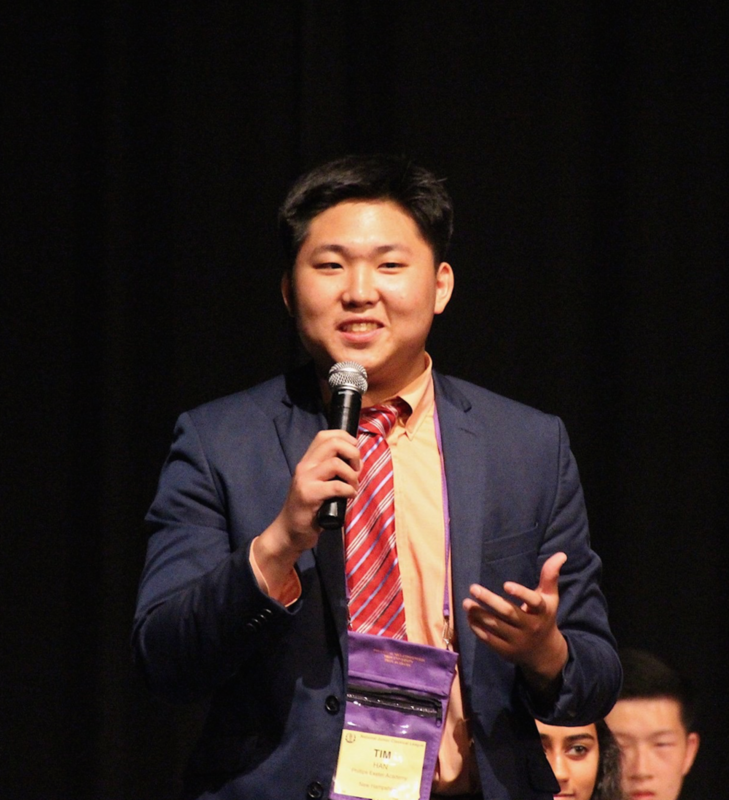 Timothy Han is the Director of Communications for YMUNI 2019. He is a first-year in Silliman College and is extremely excited to meet all of you. On campus, he is a member or on the secretariat of the Yale Model United Nations conference, the Model United Nations Team at Yale, the Security Council Simulation at Yale, the International Relations Symposium at Yale, the Yale Undergraduate Consulting Group, and Christian Union at Yale. Please feel free to reach out to ymuni.communications@yira.org if you have any questions about the YMUNI program! Hadley is a first-year in Trumbull College planning to major in Modern Middle Eastern Studies. At Yale, she is a member of Havenly, an organization that sells baklava made by refugee chefs, teaches with Hemispheres, tutors refugees through RISE, and writes for The Politic. In her free time, Hadley is a member of Danceworks, enjoys learning languages, traveling, and listening to German indie music. Please feel free to reach out to ymuni.curriculum@yira.org if you have any questions about the YMUNI program! Tyler Jager is a current first-year student in Silliman College, and a prospective major in Global Affairs and History. He hails from the freezing and beautiful state of Vermont. On campus, he writes, edits, and manages outreach for the Yale Review of International Studies, volunteers in the Silliman buttery, and participates in Yale College Democrats and Students for Yemen. He likes to spend his free time reading, running, planning road trips, and wasting time in the Acorn, Yale's student-run coffee shop. Please feel free to reach out to ymuni.community@yira.org if you have any questions about the YMUNI program! Andy Rabens is the Special Advisor for Global Youth Issues at the U.S. Department of State. He serves as the principal representative on global youth issues for the U.S. Government and leads efforts to coordinate and amplify youth policy and initiatives. 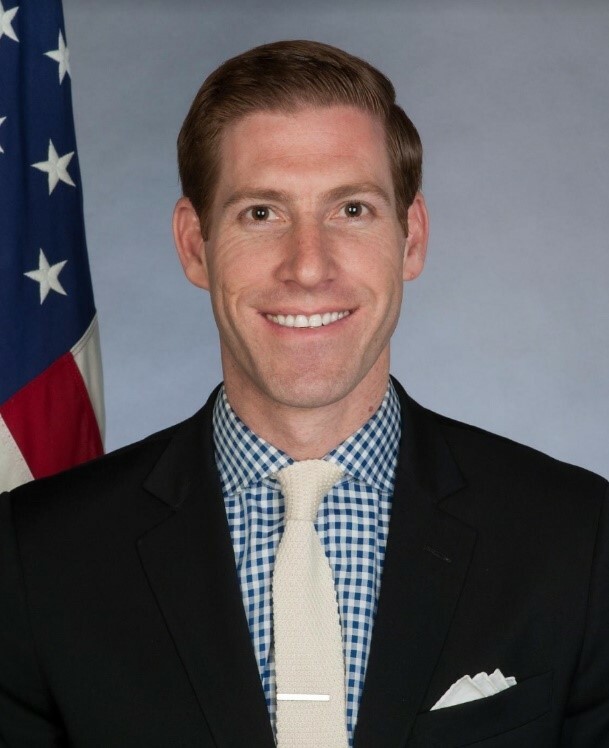 He also serves as a senior advisor for Entrepreneurship and Innovation in the Office of the Under Secretary for Public Diplomacy and Public Affairs. Prior to joining the Department of State in 2008, Andy worked for Senator Dianne Feinstein and for the Rt. Honorable Ed Miliband in the UK Parliament. He graduated from Harvard University and holds a master’s degree from the London School of Economics. Andy has received a “Service to America Medal” from the Partnership for Public Service for his Middle East and North Africa youth engagement work and two Meritorious Honor Awards from the U.S. Department of State. His work has been profiled in numerous publications including the Washington Post and the U.S. Department of State’s “Faces of Diplomacy” exhibit. Andy is a Fellow with the New Leaders Council; a Fellow with the Truman National Security Project; an Advisor to the Millennial Action Project; and a long-time Tutor at Miner Elementary School in Washington, DC. Asha Rangappa is a Senior Lecturer at the Yale University’s Jackson Institute for Global Affairs and a former Associate Dean at Yale Law School. Prior to her current position, Asha served as a Special Agent in the New York Division of the FBI, specializing in counterintelligence investigations. Her work involved assessing threats to national security, conducting classified investigations on suspected foreign agents, and performing undercover work. While in the FBI, Asha gained experience in intelligence tradecraft, electronic surveillance, interview and interrogation techniques, and firearms and the use of deadly force. She has taught National Security Law and related courses at Yale University, Wesleyan University, and University of New Haven. Asha has published op-eds in The New York Times, The Atlantic, and The Washington Post, among others, and has appeared on NPR, BBC, and several major television networks. She is an editor for Just Security and is currently a legal and national security analyst for CNN. Rumana Ahmed served in the White House since 2011 before departing in February 2017. Working in the West Wing and as a Senior Advisor to Deputy National Security Advisor Ben Rhodes, she worked on efforts to advance relations with Cuba and Laos, protect persecuted minority communities (Rohingya, Iraqi Christians, etc), promote global entrepreneurship among women and youth, and advise the President’s engagements with Muslims. She organized President Obama’s first mosque visit, outreach around his historic trip to Cuba, and entrepreneurship summits at the White House with Shark Tank and in Morocco for women and youth. She also worked briefly in the Office of Maryland Senator Barbara Mikulski and in the Department of Commerce. Rumana has been a press commentator and is a frequent speaker on intersectionality, community partnerships, global engagement and national security issues. She is a co-author for an upcoming book called West Wingers: Stories form the Dream Chasers, Change Makers and Hope Creators Inside the Obama White House (Release: September 25, Available for Pre-order here). Her publication in The Atlantic was named the top 25 most-engaged articles online of all of 2017. A native of Maryland and daughter of Bangladeshi immigrants, Rumana is passionate about social entrepreneurship, and economic, social and political empowerment for women and marginalized communities. She loves traveling the world and learning about various cultures and histories and is currently a masters candidate at Harvard Kennedy School and a Fellow in Harvard’s Center for Public Leadership. Jess Teutonico is the Executive Director of We Are Family Foundation, founded by legendary music producer and multi-Grammy winner, Nile Rodgers. Nile amplifies musicians, the Foundation amplifies youth - working with 350+ of the world’s most influential innovators, creatives and activists from over 50+ countries, powering their work through innovative content and curriculum, C Suite Mentoring and strategic brand partnerships. Their programs include TEDxTeen, one of the world’s most well-known TEDx events and Three Dot Dash their signature social entrepreneur incubator. She is also founder of Under the Acacia, her own organization in Kenya that works in tandem with indigenous tribes on sustainable community development. She is also a speaking coach and has been sought after as a producer and social content expert for TED Conferences and the United Nations and is also the Youth Advisor to Joseph Peter and Al Bayati, the Ambassador to Iraq, who campaigned for the adoption of The International Day of Happiness by the United Nations 193-member nations by consensus with Secretary General Ban Ki-moon and Kweku and Ndaba Mandela. She has been featured in The New York Times, The Guardian, CBS Radio, Refinery29 and Paper Magazine named her "Do-Gooder of the Year" in 2008. She speaks at international events including the United Nations, YPO and MIT. In her previous life, she was a Director of Special Events at Vogue Magazine and produced international fashion shows for influential brands such as Gucci, Tom Ford, Yves Saint Laurent and more. Blair Imani is an author and activist living at the intersection of Black, Queer, and Muslim identity. She is the author of Modern HERstory: Stories of Women and Nonbinary People Rewriting History, which tells the stories of 70 contemporary heroes who are changing the world. 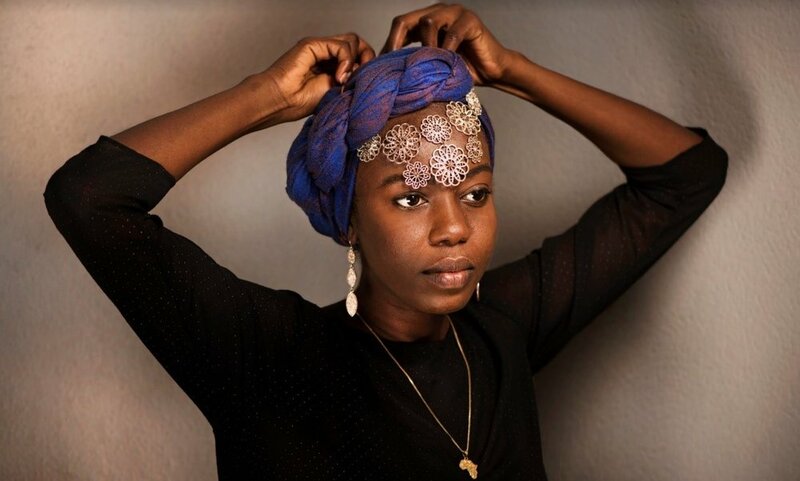 Following her July 2016 arrest during a Black Lives Matter protest in Baton Rouge in response to the killing of Alton Sterling, Blair Imani began using her voice on a national stage as a commentator, speaker, and social media presence. Blair is the founder and executive director of Equality for HER, a nonprofit educational platform for women and nonbinary people. For her activism, Blair Imani has been honored as part of theLogo30 by Logo TV, #Woke100 by ESSENCE and as one of 25 Gen-Z'ers creating change in the world by NYLON. In June 2017, Blair Imani came out as a queer Muslim woman on national television while discussing safe spaces on Tucker Carlson Tonight which invoked hate and violence. Undeterred, Blair began working with the internationally renown LGBTQ rights organization, GLAAD, to continue elevating the stories of queer people of faith globally. For Muslim Women's Day 2018, Condé Nast's them released a groundbreaking interview with Blair Imani about her journey as a queer black woman and practicing Muslim. Since her rise to prominence, Blair has lectured at Yale University, Harvard University, New York University, University of Omaha, and American University. She currently serves as a board member with the Tegan and Sara Foundation, an organization that fights for health, economic justice and representation for LGBTQ girls and women while serving on DoSomething.org's Civic Engagement Advisory Board and the advisory board of 260by26, an organization dedicated to extending education opportunities to 260 million children globally by 2026. Emtithal (Emi) Mahmoud continuously advocates for the cause of refugees and disadvantaged communities the world over through her poetry, and incredible experience. In 2017, she hosted the first fully inclusive civilian peace talks across Sudan as part of her One Girl Walk and Dreams for Peace Initiative. In 2018, she completed an unprecedented 1000km (620-mile) walk in 30 days from Darfur to Khartoum, mobilizing thousands of people along the way. The newly published author has repeatedly moved audiences to tears—and to their feet— at the UN General Assembly, The World Economic Forum in Davos, the Women’s Forum in Paris, The Hague, Forbes 30 Under 30, and countless other high-level events. From her landmark peace talks, to multiple field missions with the UN-Refugee Agency, to a now four-year research initiative on Sickle Cell Disease in Nepal, Emi constantly puts real-life knowledge behind her powerful words, driving people to action around the world. Since her 2016 Yale graduation, Emi has worked with the Dalai Lama, the UNHCR, Kailash Satyarthi, Tawakkol Karman and several other Nobel Laureates, leaders, and organizations. A trailblazer in the American Muslim community, Emi was the youngest of twelve people selected for a private roundtable discussion with President Obama during his last year in office prior to his first visit to a US Mosque as a sitting president. She continued to serve as part of a select group of Muslim American leaders chosen to advise the cabinet on countering islamophobia and discrimination during their final year. Contributing to multiple Whitehouse roundtable discussions and participating in both the Eid Banquet and Holiday dinner under the Obama Administration, Emi went on to teach and mentor youth around the world, advocating peace through poetry.